Zimmerit paste. For 1/6 scale Tiger I Ausf.E Late, Panther Ausf.G or Panzer IV Ausf.H. Use an "old" comb to apply to your tank. Zimmerit was usually applied with a spatula. This zimmerit is formulated for "Static" or "standard R/C" Models. It will break against the high impact force of a Paintball. Zimmerit was applied to some tanks and casemate-style closed-top self-propelled guns and tank destroyers produced from December 1943 to 9 September 1944.It was only rarely applied to open-top AFVs. The rough appearance of the coating gave a distinct appearance, for one type a "shingle-like" look to the vehicles it coated. Application of Zimmerit was usually done at the factory. 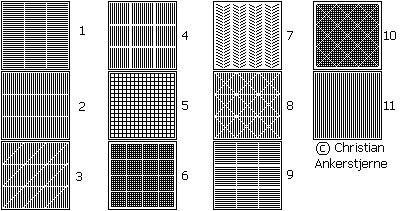 The many variations seen in application designs,from the regular ridge-shaped pattern, to a less common waffle-shaped pattern,are mostly related to the factory producing each type of AFV. 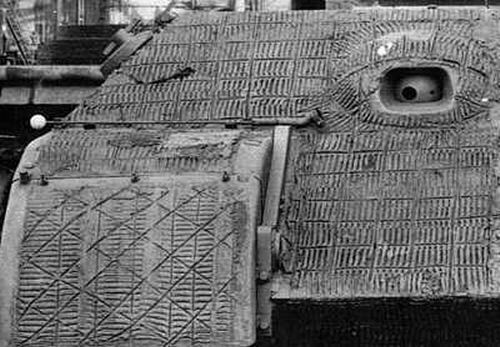 For example, the waffle pattern was seen almost exclusively on Sturmgeschutz III assault guns.In general, vehicles already in service were not coated with Zimmerit. Zimmerit was discontinued from factory application on 9 September 1944 and from field application on 7 October 1944. This was due to concerns that projectile impacts could ignite it.These proved false, but the order was never rescinded. Applying and drying the paste added days to the production of each vehicle, which was unacceptable as there was a shortage of tanks. Zimmerit was usually applied at the factories. An even layer was applied to the armor plates, which was left to dry for four hours. After drying, it was hardened with a blow torch, and shaped into the final pattern using spatulas or stamps. Zimmerit was applied to all vertical and sloped surfaces, except where it would impede normal operation (such as hinges, automotive parts, and tracks), or where magnetic mines would not seriously damage the vehicle (such as lamps, tools, and side skirts). It was, however, applied on surfaces behind side skirts. It was also sometimes applied to turrets, even though magnetic mines could not easily be attached to them by infantry. There are also a few examples of Zimmerit which has been applied to side skirts.